Ian Corlett Services Ltd, trading as Liftmann, was incorporated in 1996. Ian (a Manxman) and Rachel, his wife, believed they could offer the island a more professional service than was available at the time, using fully trained staff at reasonable cost. One of the main guidelines laid down at the outset was that the company would only offer a service or product with which the staff are fully conversant. That guideline is still followed today. All members of staff are trained to a very high level, constantly improving their skills and increasing their knowledge by attending training courses for the products offered. 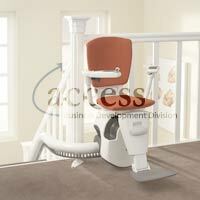 Since incorporation the company has expanded and broadened its field of expertise, it is able to offer a varied range of equipment, from bath lifts through to wheelchairs and electric scooters in the disability mobility field. 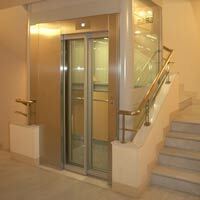 Also small service lifts (dumb waiters) to large passenger or goods lifts in the elevator field. We the only Manx company to offer such a wide and diverse product range. Qualifications gained by engineers include but are not limited to City and Guilds, LEIA (Lift and Escalator Industries Association) qualifications and IOSH. All lift engineers employed by Liftmann are at least qualified to EOR 202 which is the minimum permissible standard for lift engineers in the UK. 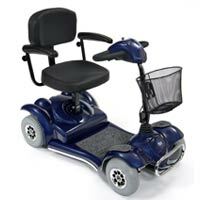 Liftmann are very aware that the main point of contact with the company's client base is through the field engineers and that, particularly in the mobility field, the client may well be elderly and frail. With this in mind they ensure that the engineers present themselves in a friendly, caring manner all wearing the distinctive Liftmann Green and Gold uniform, that matches the company logo, and the livery of the vans. Each engineer carries a Liftmann identity card. To further reassure the client base Liftmann operates a strict drug and alcohol policy which includes random testing. Liftmann have made sure that the company is constantly looking forward. With this in mind all works are carried out in compliance with not only Isle of Man Government guidelines for Health and Safety but also guidelines laid down by the UK. The company has also sought and been granted ISO 9001:2000 accreditation. We have always thought that the needs of our clients are paramount, especially with regard to the elderly and infirm. Liftmann therefore offers a 24 hour 365 day per year emergency call service to all contract customers and prides itself on its rapid response. Since incorporation the company has entered into agreements with various Off Island companies and carries out servicing and repairs on their behalf. The list of these companies includes, but is not limited to, ThyssenKrupp Elevator, Pickerings Europe, Independent Lifts, Jackson Lifts, Advanced Lifts. Through their local knowledge of the island and its people, Ian and Rachel are aware that many of the applications where a lift may be needed are not standard sites and as such a standard off the shelf lift package will not always be suitable. The lift side of the business is set up to offer bespoke lift solutions, pulling together and interfacing parts from many different suppliers all with the aim of meeting the specific requirements of a particular need. Carrying through with the directors' forward thinking, the company endeavours to keep all its clients up to speed with the general condition of their equipment and identify items that are likely to need attention in the future. This is done by supplying all customers with an information sheet together with their service invoice, which gives costings to enable the customer to budget for impending works. Ian, Rachel and the rest of the team are proud of Liftmann. The company is a collection of people who form a close knit team, that not only work together but also socialise with each other. The family atmosphere is an integral part of Ian and Rachel"s Liftmann.